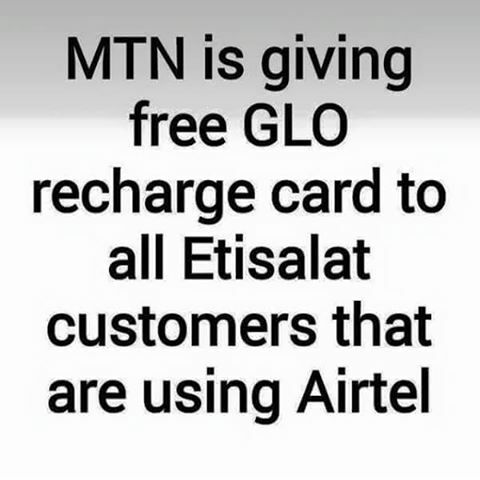 MTN is giving free GLO recharge card to all ETISALAT customers that are using AIRTEL.. – Naijahottunez | No #1 Nigeria Music | Video | Entertainment | Celebrity Gist. Previous YOUR VIEWS!!! Would You Live HERE For 1Million Naira Without Internet Or TV For 6 Months …. ?